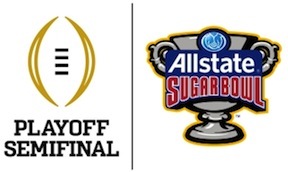 Join the Greater New York Chapter at The Ainsworth as the Crimson Tide faces Ohio State in the Allstate Sugar Bowl in a national semifinal of the inaugural College Football Playoff. Kickoff is set for 8:30 p.m. on ESPN. Table reservations for this game are now open. Table reservations at The Ainsworth will remain open until the venue reaches capacity. At that point, UANYC will announce a second location where remaining reservations requests will be accommodated. The Ainsworth will do its best to accommodate all table reservation requests received by Friday, December 26 with those from dues-paying UANYC members receiving first priority. All reservation confirmations will be sent via e-mail no later than Tuesday, December 30.